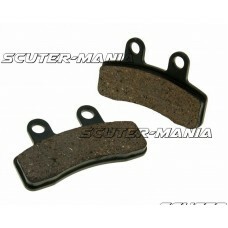 Anti-squeak film for brake pads. 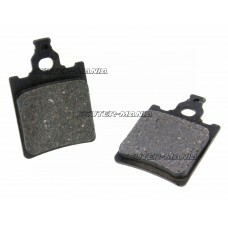 The film is adhered to the back plate of the brake pads and thus en.. 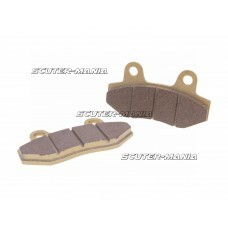 Brake pad set for single piston callipers on Chinese-built 50/125/150cc 4-stroke machines. Unfortuna.. 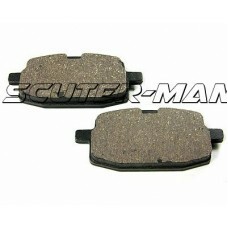 Brake pad set for double-piston callipers on Chinese-built 50/125/150cc 4-stroke machines. 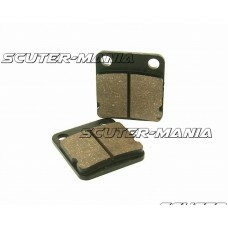 Unfortuna.. 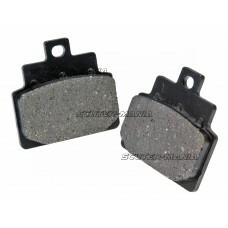 Replacement brake pad for Chinese 4-stroke scooters with dual piston front callipers e.g. 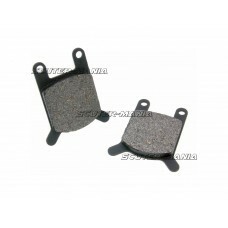 Rex RS 460.. 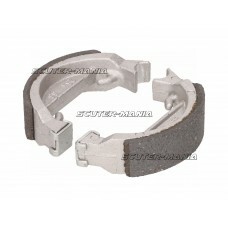 Replacement centre stand axle for APRILIA Rally, SR Replica, Scarabeo, WWW, Stealth, Area 51, Sonic .. 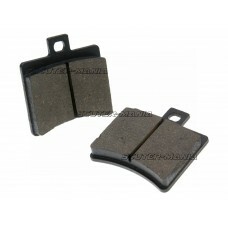 Brake pads with organic composition. 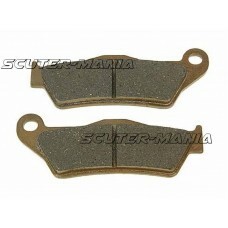 This coating mixture is generally used by the original scooter .. 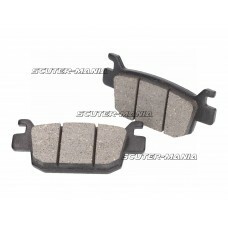 Brake pad set with organic lining composition, this material is generally seen as the OEM part and t..
Special racing ceramic compound scooter brake pads. 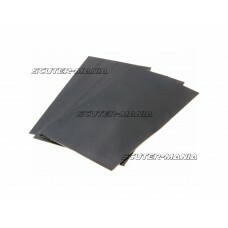 Reduced temperature build-up and fading. 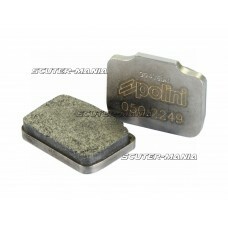 High pe..
Polini brake pads represent top quality manufacturing and excellent performance. 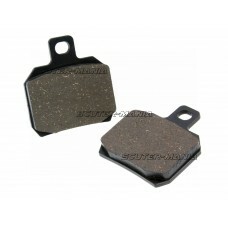 When used on the ra..
A set of brake pads with organic coating suitable for various Honda and Peugeot mopeds with drum bra.. 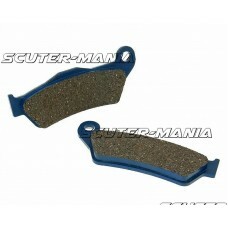 The winner of the value for money award in our brake pad line-up: the 101 Octane brake pads. Organic..